Color, light, texture, and form: four elements in nature that have captivated me for years! Whether I am looking at the grandeur of the landscape, a gemstone, or ink as it is spread across a printing plate, I continually seek ways to incorporate my fascination with these phenomena in my artistic creations. Although I will pursue a single theme in a variety of mediums and styles, all of these threads are present, regardless of the materials I choose. 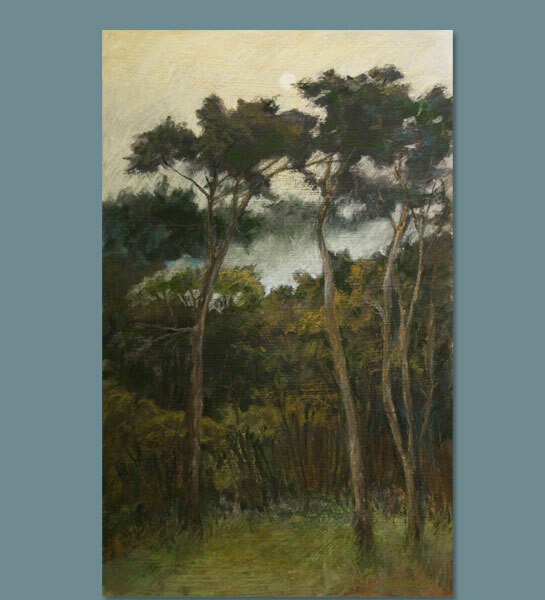 Golden Moment, Pastel on Board, 18" x 18"
Evening Dance, Oil on Board, 20" x 40"
Morning Mist, Pastel/Board, 18" x 36"
The Plot Thickens, Oil on Linen, 18" x 24"
Fall Flavors, Oil/Board, 12" x 24"
Diane Arenberg is an artist who enjoys the challenges and rewards of working in many mediums. 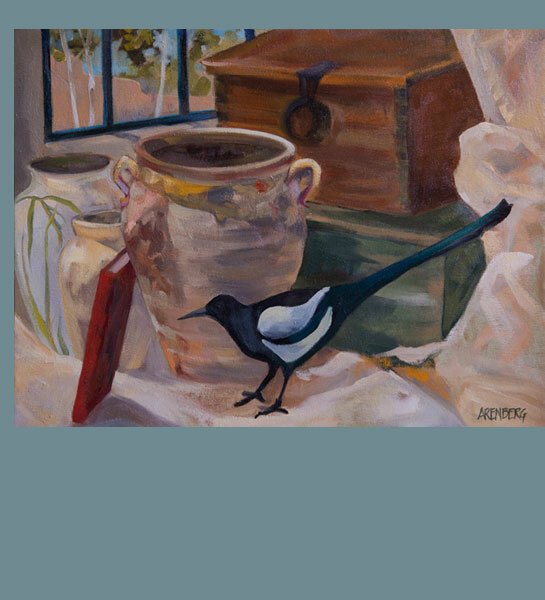 A resident of Santa Fe, New Mexico, she pursues her love of creativity in pastel, paint, ceramics, stone, monotype printmaking, and metalsmithing. The common thread amongst all these mediums is her passion for the landscape, nature, light, and texture. 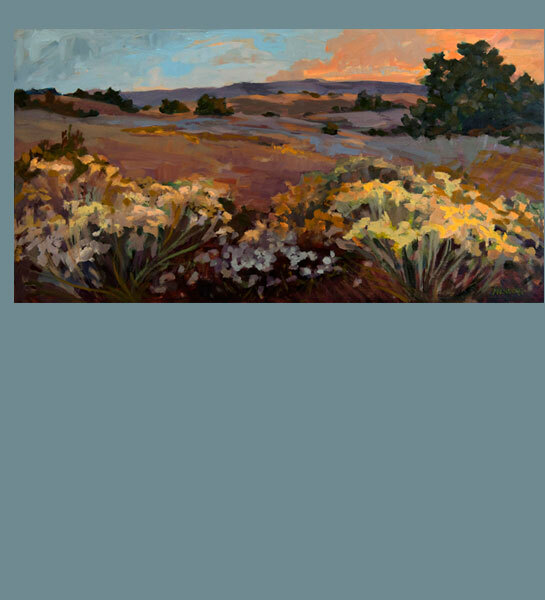 She derives much of her inspiration from the Midwest and Southwest, particularly New Mexico and Arizona, where she spends several weeks a year painting on location, or "en plein air". Arenberg began formal art studies at the University of Illinois and continued in the arts at Purdue University, West Lafayette, Indiana, where she received a Bachelor of Arts degree in Humanities, with a major in Interior Design. After spending ten years in the contract design field, Arenberg felt the pull to return to art. Much of Arenberg's training has been through classes and workshops with pastel artists Doug Dawson, Sally Strand, and Albert Handell; Oil Painters Daniel Gerhartz and Yuqi Wang; Sculptors Mary Davidson, and Jim Kempes; Jewelers Gene Pijanowski, John Strachota, and Mary Anna Petrick; and Sculptor/Printmaker Paul J. Yank. 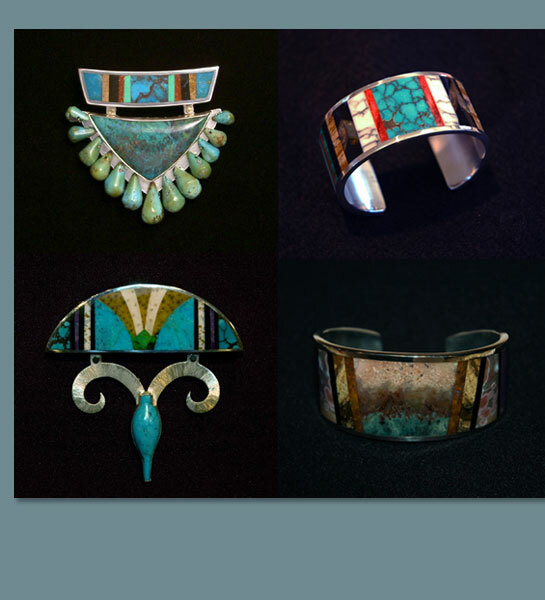 She has continually broadened her scope of knowledge through stone carving, jewelry, bronze cast and found object sculpture workshops taken at Ghost Ranch Conference and Retreat Center in Abiquiu, New Mexico. It was there she first painted with four women who joined her in a group now known as the Color Rangers. The Color Rangers have shown work collectively in Milwaukee, Wisconsin; Santa Fe, Abiquiu, and Silver City New Mexico. 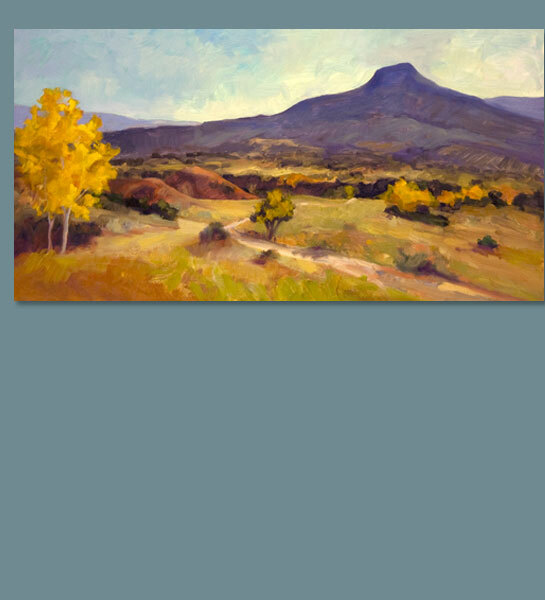 Arenberg's award winning work has been in solo/group exhibits in Wisconsin, Illinois, New York, and New Mexico, and in juried plein air events in Colorado, New York City, and Wisconsin. 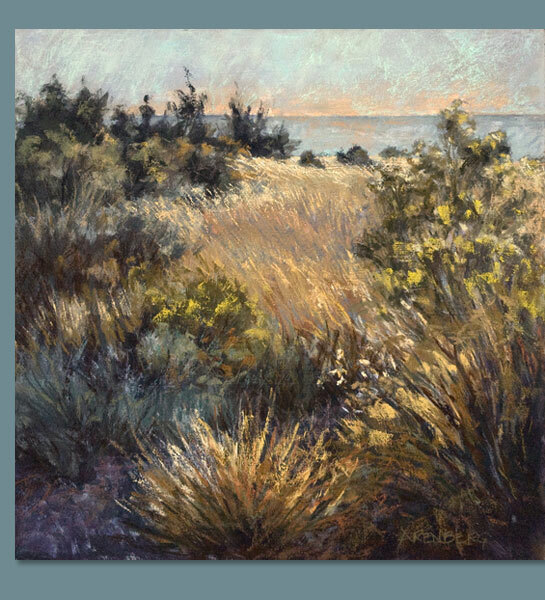 An artist member of The Palette & Chisel in Chicago, Wisconsin Painters & Sculptors, and the Pastel Society of New Mexico, she maintains studios in both Mequon, Wisconsin, and Santa Fe, New Mexico. Recently, Arenberg was awarded a one month residency at the Vermont Studio Center in Johnson, Vermont.